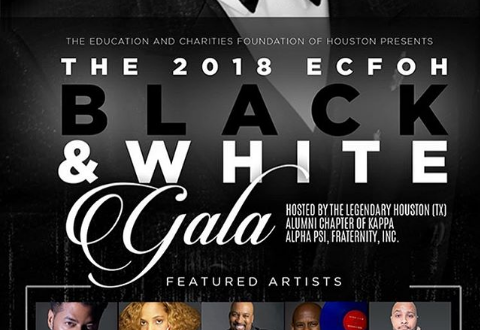 The 2018 ECFOH Black & White Gala is hosted by the Houston Alumni Chapter of Kappa Alpha Psi Fraternity, Inc. The Master of Ceremonies is Thomas “Nephew Tommy” Miles. 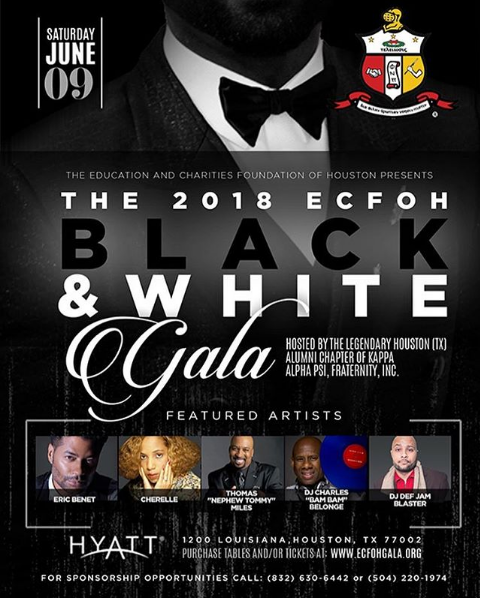 Guests will enjoy musical performances by Eric Benet, Cherrelle, DJ Charles “Bam Bam” Belonge, DJ Def Jam Blaster and DA UNYT Band. This event is SOLD OUT.